New stash of Vaqueros De Las Olas shaped by Marc Andreini arrived this afternoon! All boards wrapped in volan and built to last. These are refined displacement hulls to be surfed forward or off the tail. Total Involvement in 2007! 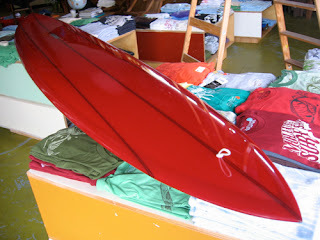 Kustom for artworld darling Richard Phillips who also happens to be a damn solid surfer. Chris Millstein, drummer from Home/Jah Division and Kayrock screen-printer stopped by during his smoke break with these killer Schmitt Stix for sale. Thanks yo! You may recognize this Yankee? A Christmas special from former first-baseman, Andrew Kidmanly. The four boards that lasted four hours. Left to right: 6'7", Garro, 6'3", Local Dave, 6'5" (Pale-Rider), Mike Frankenbonzer and the 6'9". An assortment of Finelines scheduled to arrive this arvo and Andreini's on Friday! Litmus and Glass Love back in stock. New Surfers Journal too (Volume 16, Number 6) which has a Danny Hess piece and a rad fin-less surfing article with Hynd, Wegener and others. Clams was in haus Saturday afternoon runnin' numbas and takin' pix of our luscious logs. Don't forget to trim! 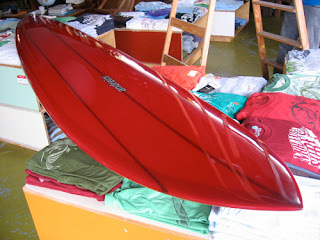 Contact the shop for board details or advance purchase. The holiday season is upon us! 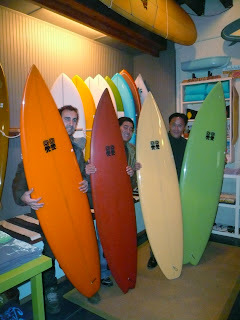 Mr. Andreini made this kustom 9'6" Love Stick for Mr. Caro. Holy #*&@&!!! Awake and jazzed after an in haus evening with Rich Pavel or as he put it, 'you can't dance with the bride at two weddings.' Various Coopers kine were consumed as a nod to NPJr. and maybe Parko for burning billabong employees on logoless Toby-fish. RB, Stevie, both Lynches and Simmons. Wicked and crucial design lesson! Winter XCEL rubber back in stock: 6/5/4 and 5/4/3's, 5-7mm boots and gloves. 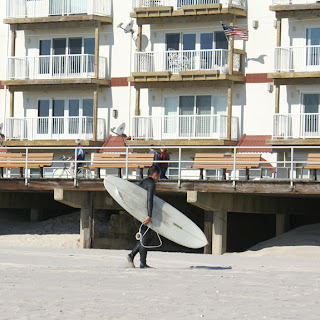 Should be some fun waves in the morning with air temps in the 50's tomorrow. Give Thanks. Andreini "Vaqueros de las Olas" and a mixed bag of eggs and round tail quad/fish from Fineline in transit today. Should be here late next week. Two super-sweet shorts shown together at the Film Forum by French director and inventer of the board game RISK Albert Lamorisse; White Mane (1953) and The Red Balloon (1956). 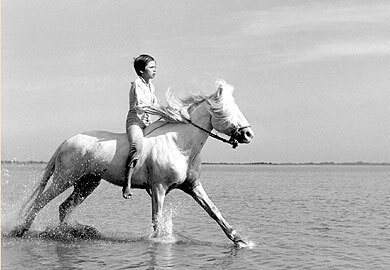 Crin Blanc (above) an end of innocence riff about a boy and a wild white horse shot in the south of France with seaside equestrian ecstacies and whimisical "vaqueros de las olas" ending. Andreini would approve! Influential photojournalist Peter Simon ("Reggae Bloodlines") will be at the Morrison Hotel Gallery NYC this Saturday, 11/17, from 1 - 6 PM (possibly Sunday, as well - call gallery for details). Prints will be available from his new book "Reggae Scrapbook", which features archival material and photographs from the 1970s. When you're out in the country, in the old estates, and you see the country people walking to church or rocking in their hammocks or drinking in the little bars, you don't think it's that kind of country. But every country is that kind of country.